In 1912, the voters of the City of Denver agreed to tax themselves to preserve forests, streams and spectacular Rocky Mountain scenery in a system of parks that now includes over 14,000 acres. However, the Denver Mountain Parks are not located in Denver. In the nation’s first example of extra-territorial preservation, 10,271 acres of the Denver Mountain Parks system can be found in adjoining Jefferson County with the remainder in three other counties even further west of the Mile-High City. In fact, the Mountain Parks plan required the Colorado legislature and the U.S. Congress to pass laws allowing Denver to acquire parkland beyond its boundaries. In keeping with this tradition of strong public support for preservation, the voters of Jefferson County similarly approved an open space tax that so far has preserved another 51,000 acres and created one of the best open space systems in the country. In Jefferson County’s Clear Creek Canyon Park, visitors can pan for gold, rock climb and, of course, fish. Almost three quarters of the land area of the Denver Mountain Parks, are located within Jefferson County. Lookout Mountain Park offers stunning views of the Colorado Front Range. Buffalo Bill Cody was so impressed with the setting that he chose this park for his gravesite. Red Rocks Park is famous for the 300-foot high sandstone formations that form the walls of the Red Rocks Amphitheater, constructed by the Works Progress Administration (WPA) and Civilian Conservation Corps (CCC) in the 1930s. Genesee Park, at 2,413 acres, is the largest holding in the Denver Mountain Parks system and is home to herds of bison and elk relocated from Yellowstone National Park in 1914. The Jefferson County Open Space Program began in 1972, when the voters of Jefferson County approved a one-half cent sales tax devoted exclusively to the acquisition, maintenance and preservation of natural areas. Currently, approximately two-thirds of the total fund is spent in the unincorporated portions of Jefferson County with the remaining third allocated to the cities within the County. Since 1972, the tax has generated over $285 million and has preserved over 51,000 acres of land. Of this total, over 42,000 acres are managed by the County including over 186 miles of trails. The resulting parks represent a stunning achievement considering the intense development pressure generated by the explosive growth of the Denver region. Just west of the City of Golden, the Open Space Program has assembled five contiguous parks that offer a wide range of outdoor experiences. Centennial Cone Park is basically wild habitat for mountain lions, deer and elk and traversable only by foot or mountain bike. 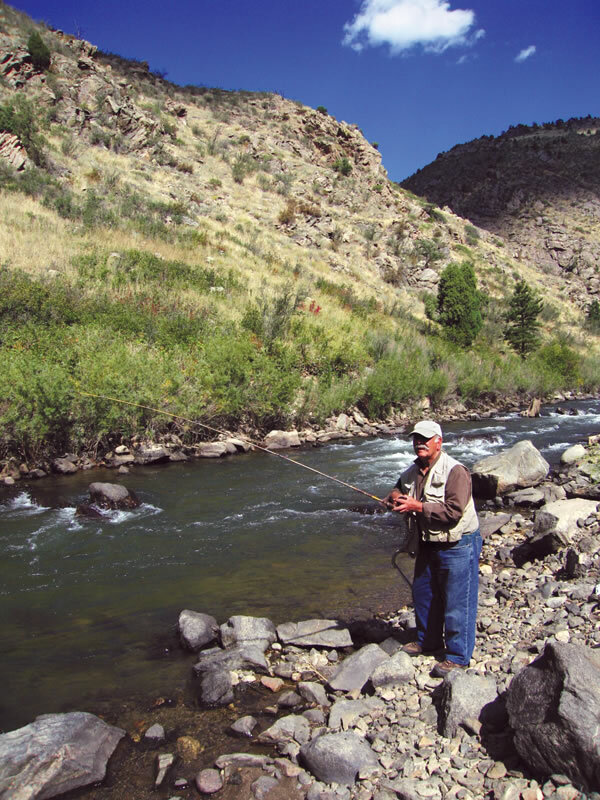 Adjacent to Centennial Cone Park, Clear Creek Canyon Park offers rock climbing, stream fishing and panning for gold as well as a chance to spot golden eagles and bighorn sheep. Next door, Windy Saddle Park allows bicyclists an off-road alternative to the paved Lariat Loop, a 40-mile circuit built in conjunction with the Denver Mountain Parks that connects over 25,000 acres of preserved open space in Jefferson County. The State of Colorado adds roughly another 6,000 acres of open space in Jefferson County with portions of the Chatfield State Recreation Area and Golden Gate Canyon State Park. In addition, Pike, Roosevelt and Arapaho national forests contribute approximately 112,000 acres of protected land to the County, offering an extensive trail system including a segment of the Colorado Trail, which stretches for 500 miles between Denver and Durango. In total, over one third of Jefferson County is protected by local, state and federal agencies. Roughly one third of this total was preserved because average citizens recognized the importance of their sensational mountain resources and were willing to reach into their own wallets to save it.